While Agile principles can help you efficiently deliver high-quality software, common issues like geographically distributed teams and demanding deadlines can prevent you from actually following Agile guidelines. This e-guide explores how ALM tools can help distributed Agile teams effectively communicate and collaborate, providing more flexibility for employees and employers alike. 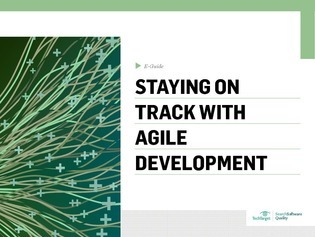 Plus, discover the 4 basic guidelines to follow to stay on track with Agile development.